The Philippines is poised to move to the top third of global rankings under the World Bank-International Finance Corp. (IFC) ease of doing business report and other similar surveys by 2016, National Competitiveness Council (NCC) officials said Thursday. Apart from improving the country’s image with investors, the practical impact of such improvements is that it boosts investments, officials said. Trade Secretary Gregory Domingo said in a briefing that, on the ease of doing business report alone, the Philippines may rank anywhere from 60th to 62nd place by 2016, out of 185 countries covered by the report. For 2014, the country is aiming for the 113th place—an improvement by several notches from the 2013 ranking of No. 138. In 2011 and 2012, the Philippines ranked 134th and 136th, respectively. NCC private sector chairperson Guillermo Luz said, however, that the ultimate target is to make it easier for investors to start and operate a business. Domingo, public sector chairperson of NCC, said the annual report is useful because its criteria can be used as benchmarks for local reforms. The country’s competitiveness is continuing to improve, Domingo said, and the negative impact of such events as the Zamboanga crisis are “just a hiccup” when considered over the long term. Also, Trade Undersecretary Nora K. Terrado cited improvements in business processes by government agencies. She said there now appears to be growth by up to 7 percent in new business registrations for the first half of the year, particularly for sole proprietorships. “Cities and municipalities that have improved on automation and business processing also tend to see more business registrations,” Terrado said. There are 10 indicators in the ease of doing business report, of which the most voted indicator is starting a business. From the baseline 36 days needed to get started on partnerships and corporations, the process is now down to 11 days and may be cut by half again next year, Luz said. Ruy Y. Moreno, NCC-private sector director for operations, explained that the ease of doing business is focused on non-ecozone registrations since the aim is to help boost small and medium businesses. He also said foreign investors are happy dealing with Philippine Economic Zone Authority. He also noted that the Philippines is gaining ground in all areas surveyed and not just cherry-picking where it will make improvements. 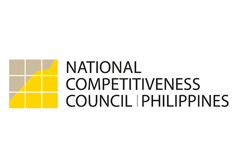 NCC, a public-private sector body, developed a so-called game plan to bring the Philippines to the top-third of IFC’s ranking from the bottom third. 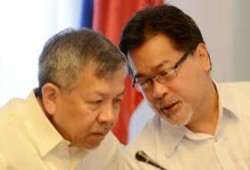 The game plan was submitted to economic managers in September 2012.